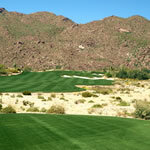 Golfing Tucson presents the ultimate guide to Golf Courses in Tucson, Arizona. To browse golf courses in the Tucson area, please scroll through the Tucson Golf Course Guide below to find detailed information including descriptions of golf courses in Tucson, availability, as well as photos and scorecard info. If you are not familiar with golf courses in the Tucson area, we ask you to please contact us at 1-800-426-6148 to find out the latest information on golf course conditions and pricing. With so many great championship golf course in the area, let Golfing Tucson guide you to the best deals and discounts on tee times in the Tucson area. 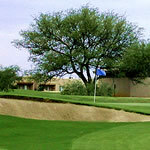 Book your online discounted tee times in Tucson with GolfingTucson.com. We offer a free service to schedule your Tucson tee times up until 60 days in advance with no booking fees and at the best deals on the internet. 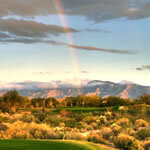 Our local staff will help guide you through the best golf courses to play in Tucson. Designed in 1995 by Robert Trent Jones Jr, this true desert experience is one of the best golf courses in Southern Arizona. 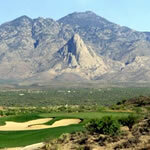 Starr Pass Golf Club incorporates mountain backdrops with world class golf conditions. 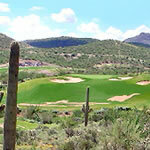 The Rattler, Coyote and Roadrunner golf courses are among some of the best in Tucson. The Schmidt/Curley design presents many elevation changes that will test any skill level on this fabulous Par 70 championship course. Located at the foothills of the Santa Rita Mountain Range, Torress Blancas is designed by Lee Trevino and partner Fernandez. The course is more forgiving and can be played by all skill levels. Home to 45 holes of championship golf, the Conquistador Golf Club is home to the Conquistador and Canada golf courses, along with Pusch Ridge the resorts 9 hole course. 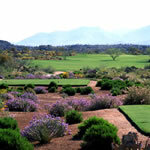 Tubac is one of the more historic golf courses in the Tucson area. Built by Red Lawrence in 1960 and used in the famous movie "Tin Cup", this fabulous 27 hole traditional golf course fits all levels of skill with the Otero, Anaza and Rancho courses. This Arthur Hills design sits above 3000 ft elevation in the Sonoran Desert. With subtle elevation change and rolling fairways this Tucson course is a fair test of skill. Home to one of the top 36 hole golf facilities in Tucson, the Ventana Canyon Golf Club is a favorite amongst the golfers in Tucson. Experience mountain backdrops, elevation change and much more when you wind through the Canyon and Mountain courses. 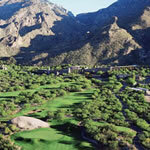 Home to 36 holes of Championship Golf, The Omni presents the Catalina and Sonoran golf courses. The Sonoran takes on more of a desert scene compared to the Catalina which is more of a parkland style traditional course. Nestled in the Northwest part of Tucson, the Vistoso Golf Club is voted every year as one of the best true desert courses in Arizona. Designers Greg Nash and Jeff Hardin say its a must play in Tucson and feature the most scenic par 3 in the state. 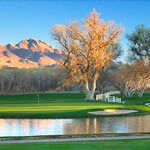 Jack Nicklaus creates his first golf course in more then 25 years in Tucson with the Ritz Carlton Dove Mountain. 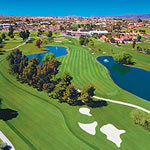 The course boasts 27 holes of true desert golf. 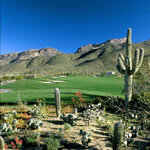 Come out and play the famous Saguaro, Tortolita and Wild Burro golf courses.